Malaysians with minimum of SPM / STPM / Certificate / Diploma / Degree in any related field. Proficient in both spoken & written in English & Bahasa Malaysia (other languages will be an added advantage i.e: Mandarin, Cantonese, Tamil). Strong team commitment and able to participate in events and road shows. Self-motivated, target driven &amp; passionate in sales. Possess valid driving license (D). Chinese speaking candidates are encouraged to apply. 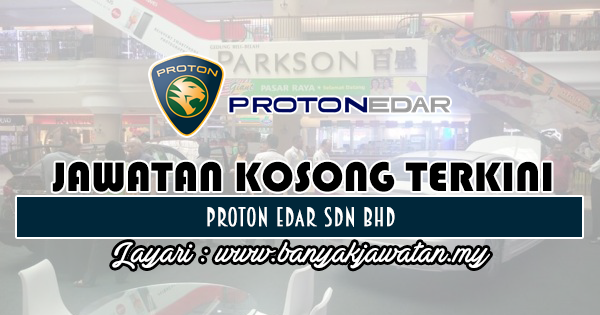 0 Response to "Jawatan Kosong di Proton Edar Sdn Bhd - 5 September 2018"